Venue: (Cost £50) Union Tavern, 22 Lloyd Baker Street WC1X. The original venue, Calthorpe Arms, had cancelled our booking after spurious warnings of trouble between rival groups promoted by Guido Fawkes, The Independent and The Times. Attendance: roughly 60 people, including comrades who had travelled from all parts of England and Wales. A proposal from Graham Durham of no confidence in Tony Greenstein as chair was defeated overwhelmingly. 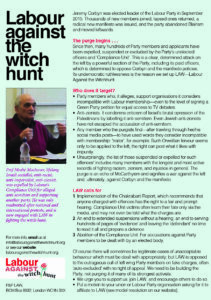 LAW Vice-chair Tony Greenstein chaired the debate on the Steering Committee motion for the exclusion of anti-Semites from LAW, including Socialist Fight. LAW Chair Jackie Walker chaired the rest of the meeting. Steering Committee motion CARRIED by approximately 34 votes to 16. Gerry Downing motion LOST overwhelmingly, by a similar vote. After the votes on the two motions, a few Socialist Fight supporters left the meeting, respecting the decision of the meeting that they were excluded from LAW. Some of those who had voted against the exclusion of SF stayed in the meeting, and remain in the campaign. The meeting moved on to plan the development of the campaign. Steering Committee report: LAW Secretary Stan Keable reported progress so far, and forthcoming events. 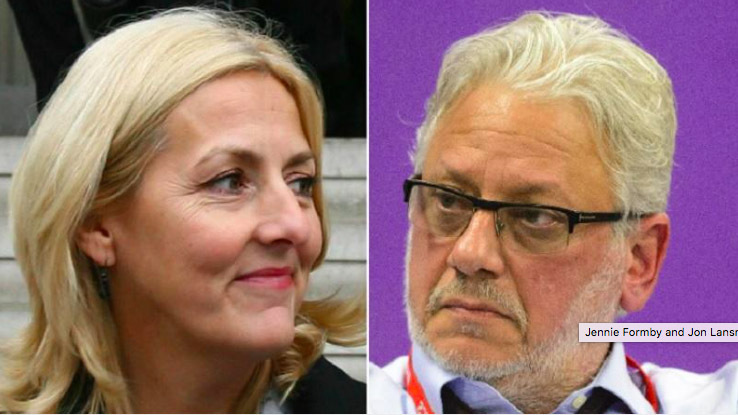 Compile a list of those suspended or expelled from Labour without due procedure. Write to Labour NEC: Is Chakrabarti being implemented with respect to current disciplinary cases? What is the basis of these hearings? Provide model motions for CLPs, Labour Party branches, TU branches, etc. Write to every Labour NEC member: why we are picketing the NEC meeting ( Jan 23), “Drop the charges”. 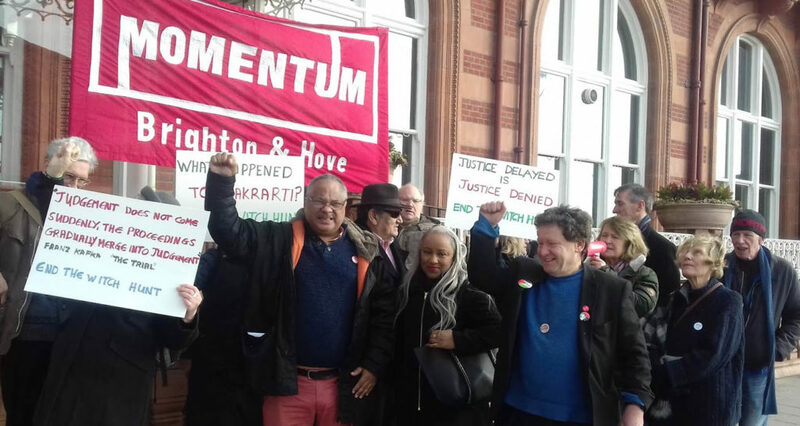 Actions to “embarrass” NEC members and the Labour leaders, and Momentum.LAW individual membership: £10 waged, £5 concessions. Produce a LAW leaflet for use at events, eg Jackie’s The Lynching. 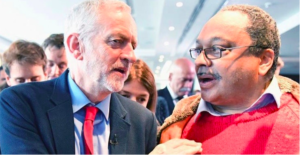 Add immediate implementation of Chakrabarti to the LAW submission to Labour’s Democracy Review. Organise a telephone tree and a Whatsapp group for urgent mobilisations. 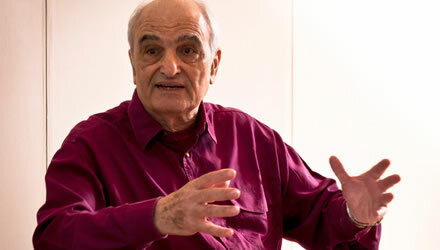 Moshé Machover is LAW Honorary President. Other prominent names to be invited to be Sponsors or Hon Vice Presidents. Eg, Miriam Margoyles, Alexei Sayle, Kate Osamor, etc. To circulate a Moshé Machover letter: “Join LAW, affiliate to LAW”. Sally Eason elected to Steering Committee. LAW Bank Account needs more than one signatory, to ensure funds are not lost if one signatory disappears. Next members meeting: Saturday March 3, 1pm to 4pm, Union Tavern. A collection of £146.60 was taken. 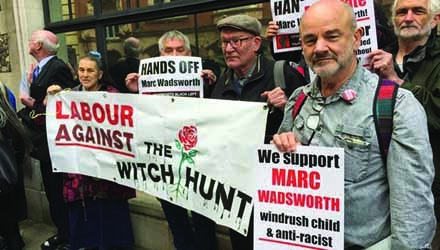 * Support petition for suspended LP member Dave Watson, Walthamstow. * Grassroots Black Left launch meeting, 6:30pm, February 7, House of Commons. Please sign our petition. 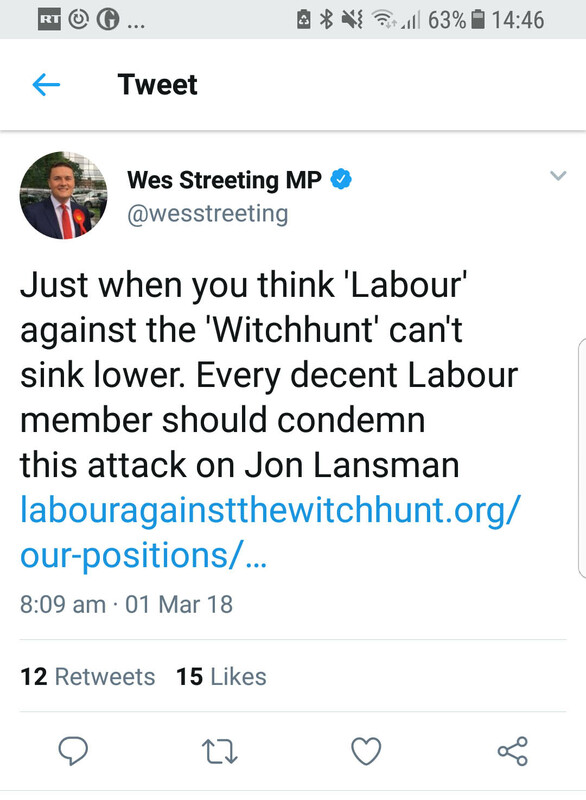 The Right, led by Iain McNicol, Labour’s detested General Secretary, the Compliance Unit and Sam Matthews aided by Anne Black Chair of the Disputes Committee, are determined to restart the False Anti-Semitism Witch-hunt. Why is it false and faked? Because you only have to look at who supports it.